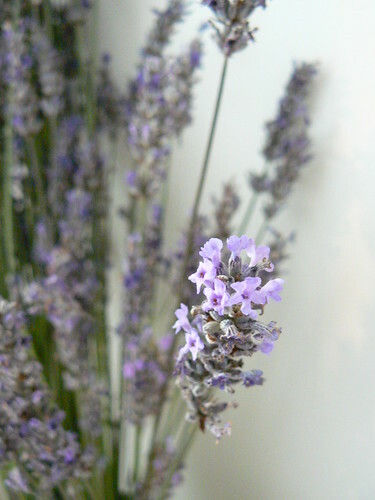 Last month was dedicated to jasmine, and in this coming month SmellyBlog will be paying extra attention to lavender as an ingredient in flavour, skincare and perfumes. I've been craving a perfume that combines both of these wonderful notes, and my lab experiments with this idea seem to be a befitting way to transition from one theme to the next. I've approached this "brief" if you will, in a rather simple way: layer together jasmine perfumes and lavender perfumes and see if that works. I layered Brin de Reglisse over some rather dramatic white-florals to mellow down their headiness. And when I approached this in the lab - I began the day before by layering my two soliflores - Lovender and Yasmin. I'm not a fan of layering, and I'll tell you why: what usually happens for me when layering one perfume over another on the skin is that the top one will dominate. It's a very rough way to blend two scents together, and on the way, the nuances of one are lost, and some things that are not necessarily desirable get amplified. In this case, the coumarin notes in Lovender were just too much to my liking and the mimosa in Yasmin just smelled sour and icky. That's why I hardly ever recommend layering scents... The results are so far from the original intent of the perfumer. With those problems anticipated I set off to compose something that takes the best of both worlds (hopefully). I sort of amalgamated the two formulae, but decreased the amount of coumarin-rich components. My Jasmine & Lavender fixation was satisfied. And I got to play in the lab with some other ideas that kept me itching with curiousity. Such as another try at bringing out the tea qualities of jasmine, and rebatching limited edition Jasmine Pho - a refreshing, almost juicy-aldehydic, green-citrusy jasmine fragrance that is very enjoyable in summer.